The number of transmit and receiver antennas is an important factor that affects the performance and complexity of a MIMO system. A MIMO system with very large number of antennas is a promising candidate technology for next generations of wireless systems. However, the vast majority of the methods proposed for conventional MIMO system are not suitable for large dimensions. 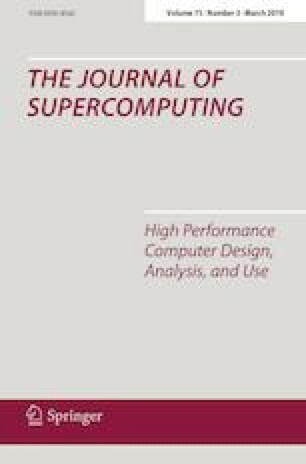 In this context, the use of high-performance computing systems, such us multicore CPUs and graphics processing units has become attractive for efficient implementation of parallel signal processing algorithms with high computational requirements. In the present work, two practical parallel approaches of the Subspace Marginalization with Interference Suppression detector for large MIMO systems have been proposed. Both approaches have been evaluated and compared in terms of performance and complexity with other detectors for different system parameters. This work has been partially supported by the Spanish MINECO Grant RACHEL TEC2013-47141-C4-4-R, the PROMETEO FASE II 2014/003 Project and FPU AP-2012/71274.